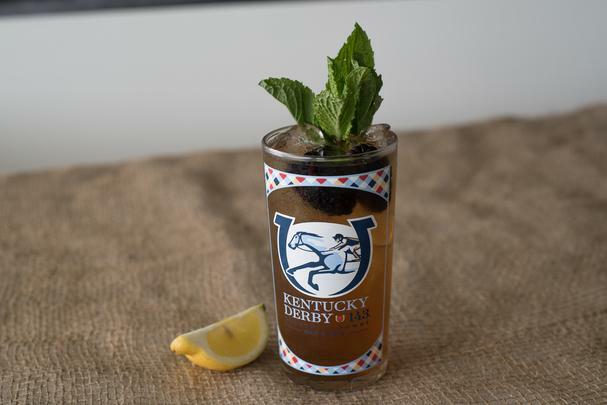 If you're looking for Kentucky Derby recipes, look no further!, the following recipes were created for those of us viewing the 143rd Run for the Roses from the comforts of home. These dishes, created by Virginia Willis, the Kentucky Derby 143 celebrity chef at The Mansion, include Oven-Fried Chicken-on-a-Stick with Vidalia–Honey Mustard Dipping Sauce, succulent Bourbon Grilled Pork Chops with Peach Barbecue Sauce, and a lower in fat Makeover Broccoli Mac & Cheese. The lineup of cocktails feature more than just bourbon. The following cocktail recipes, curated by Charles Joly, the first American to be crowned Global Bartending Champion (and the Kentucky Derby’s official mixologist), not only spotlight classic southerly flavors, but embody the wild grit that can only be found on the other side of the Mason Dixon. The Breeze Julep is a variation on the simple mint julep that is decidedly a bit more complex, brighter and arguably more refreshing. The Sure Thing is a perfect blend of botanicals, fruit, citrus tang, and a touch of sparkle. 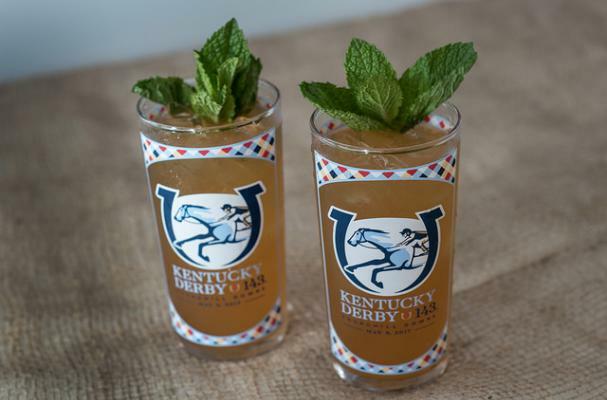 The Louisville One, Two Punch combines flavors to keep you going all Derby long: local Bourbon, local beer, a touch of caffeine and lots of refreshment. And the Prescription Julep #2 is bold, boozy, aromatic and complex. So if you can't make it to Kentucky, bring a taste of Churchill Downs to your home and cook up this menu for the races! In a large bowl, combine the salt, 1 teaspoon of the paprika, 1⁄2 teaspoon of the onion powder, and 1⁄2 teaspoon of the garlic powder. Add the buttermilk and whisk until the salt is completely dissolved and the spices are dispersed in the liquid. In a large shallow dish (a 9 by 13-inch baking dish works well), combine the bread crumbs, the remaining 1 teaspoon paprika, the remaining 1⁄2 teaspoon of onion powder, and the remaining 1⁄2 teaspoon of the garlic powder. Add the 2 tablespoons oil and toss well to coat. Whisk together the egg whites and mustard in a second large shallow dish. Season both mixtures with pepper. Preheat the oven to 350°F. Line a rimmed baking sheet with aluminum foil, then set an ovenproof rack on it. Coat the rack with nonstick cooking spray. Remove the chicken from the marinade, shaking off any excess, and thread onto sixteen 12-inch bamboo skewers, dividing the meat evenly, about 1 strip per skewer. Dip the chicken into the egg mixture, coating both sides. 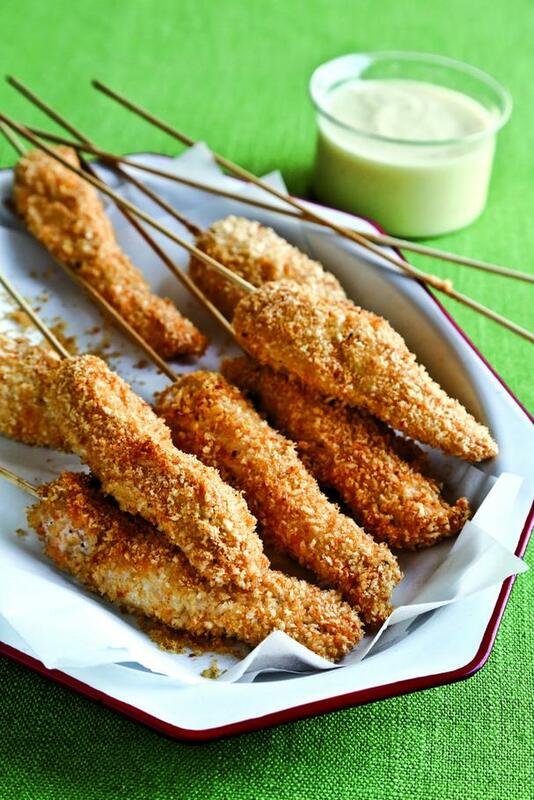 Place in the bread crumb mixture one skewer at a time, sprinkle with crumbs to cover, and press so the coating adheres to both sides. Gently shake off any excess crumbs and place the skewers on the prepared rack. Bake the chicken, turning halfway through, until golden brown and the juices run clear, about 25 minutes. Serve warm with the dipping sauce. Put the vinegar, onion, garlic, honey, and mustard in the bowl of a food processor fitted with the metal blade. Pulse until smooth. With the motor running, add the oil in a slow steady stream until thick and emulsified. Taste and adjust for seasoning with salt and pepper. Store in an airtight container for up to 3 days. 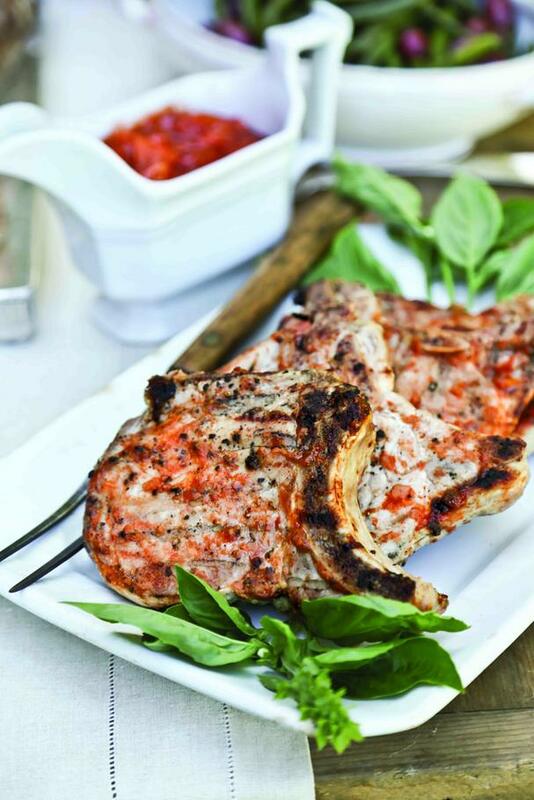 "Pork chops are a tender, quick-cooking cut of meat. In fact, so quick-cooking, that they are actually very easy to overcook. Cooking these chops on the bone, instead of using boneless chops, will help the pork cook more evenly, and make them less likely to dry out. Just make sure to trim away as much fat as possible for healthier results. The tangy Peach Barbecue Sauce, flavored with the zip of ginger and vinegar, and sweetened with natural honey, would be incredible on grilled or roasted chicken, as well. Season the pork chops with pepper. Prepare a charcoal fire using about 6 pounds of charcoal and burn until the coals are completely covered with a thin coating of light gray ash, 20 to 30 minutes. Spread the coals evenly over the grill bottom, position the grill rack above the coals, and heat until medium-hot (when you can hold your hand 5 inches above the grill surface for no longer than 3 or 4 seconds). Or, for a gas grill, turn all burners to high, close the lid, and heat until very hot, 10 to 15 minutes. Or, preheat a grill pan over medium-high heat until hot. Place the pork chops in the grill pan or on the grill and grill for 3 to 5 minutes per side or until the internal temperature reaches 145°F, brushing with Peach Barbecue Sauce in the last few minutes. Remove to a plate and cover with aluminum foil to rest and let the juices redistribute, 3 to 5 minutes. Serve immediately with reserved warm sauce on the side. An instant-read thermometer is your best friend when it comes to cooking meat on the grill. Sometimes it’s hard to gauge the doneness of the meat, especially when you’ve got hot and cold spots on the grill, distractions like kids running around the yard, and the inevitable conversation magnet that a grill can be. An accurate digital instant-read thermometer will be your best grill-friend who will save you from overcooked chops or underdone chicken. Preheat oven to 450°F. Bring a large pot of salted water to a boil over high heat. Coat an 8-inch-square (2-quart) baking dish with cooking spray. Combine the two cheeses. Mix 1⁄4 cup of the cheese mixture, the bread crumbs, and paprika in a small bowl. Set aside. To make the cheese sauce, heat 11⁄2 cups of the milk in a large heavy saucepan over medium-high heat until simmering. Whisk remaining 1⁄4 cup milk and the flour in a small bowl until smooth; add to the hot milk and cook, whisking constantly, until the sauce simmers and thickens, 2 to 3 minutes. Remove from heat and stir in the remaining 11⁄2 cups of the cheese mixture and the cottage cheese until melted. Stir in the dry mustard, and nutmeg, and add salt and pepper to taste. Cook pasta according to package instructions. In the last 3 minutes of cooking, add the broccoli florets. Drain well and add to the cheese sauce; mix well. 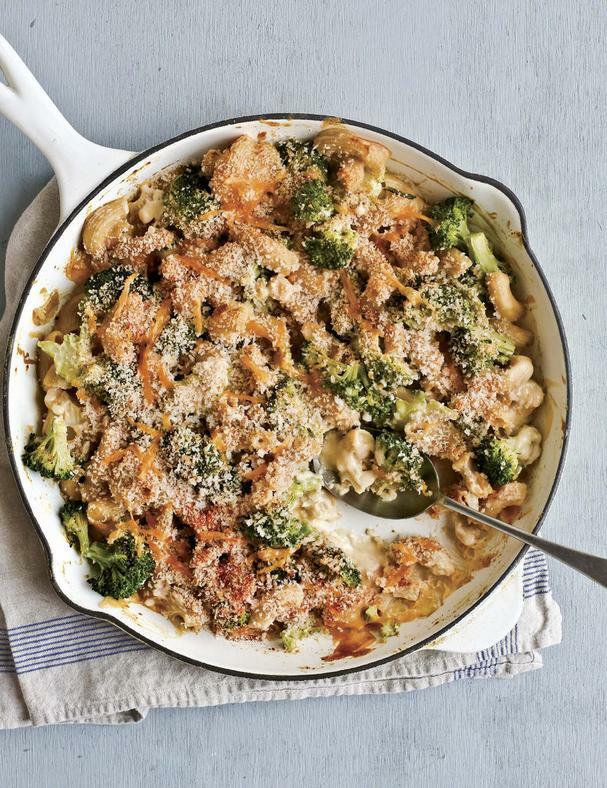 Spread the pasta-broccoli mixture in the prepared baking dish; sprinkle with the bread crumb mixture. Bake until bubbly and golden brown, about 20 minutes. Remove to a rack to cool slightly. Serve warm. This variation on the simple mint julep is decidedly a bit more complex, brighter and arguably more refreshing. Joly has added blackberries, the state fruit of Kentucky, along with a touch of Amaro, bringing in a bit of depth and fruit notes. 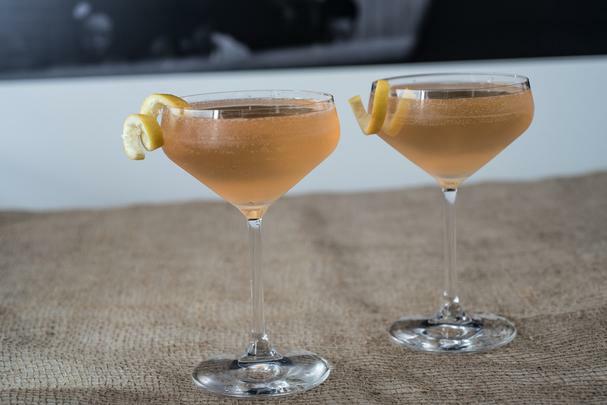 The addition of lemon juice softens the drink overall, lowering the ABV and making it a cocktail that can be enjoyed all day. Prebatch Woodford, Amaro, lemon and simple syrup. Place 3 blackberries and 8 mint leaves in bottom of julep (or collins) glass. Gently muddle. Add 3oz of batch and fill with crushed ice. Garnish with fresh blackberry skewer and bouquet of mint. 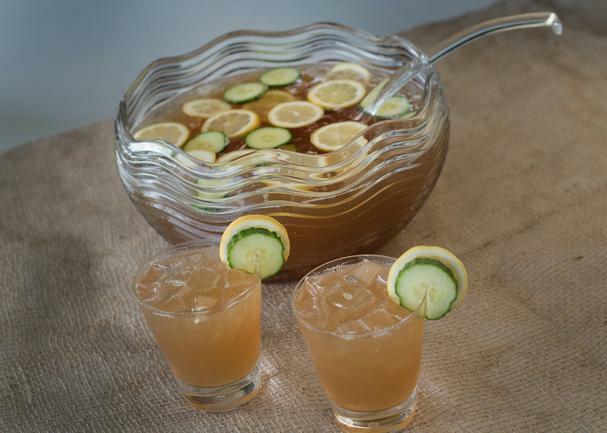 Serve in a Collins glass. Combine gin, lemon juice, curacao, syrup and jam in a Boston shaker with ice. Shake well and double strain through a sieve into a chilled cocktail coupe. Top with 1 oz sparkling wine. Mist with lemon oils and garnish with lemon twist. Combine bourbon, Benedictine, lemon juice and tea syrup. Chill until very cold. Top with American Pale Ale beer. Garnish with cucumber and lemon wheels. Top with mint sprigs. Note: To make Black Citron Syrup, brew a strong cup of Black Citron tea. In a pinch an orange-black tea will substitute. Strain tea from liquid and combine with an equal amount of white sugar. Stir until dissolved and chill. An evolution of the 19th century Prescription Julep (that showcased Cognac as the base accompanied by rye whiskey), this rendition spins it out a few steps further. Bold, boozy, aromatic and complex. Combine bourbon and mint leaves in the bottom of a julep cup. Gently muddle to release mint oils. Add remaining ingredients and stir in the julep cup. Fill completely with crushed ice. Place bouquet of mint and straw into cup.